We have developed various innovative products and successfully implemented them across the globe. Our products and services fall under three major categories namely: license plate recognition, education management technologies and multimedia design and development. CARPET is implemented at the car park of UCTI. All staff and students of UCTI do not need access cards to enter the car park. The car park barrier opens automatically if the number plate is recognized as authorized and parking fees has been paid. UCTI selected iSMART because of it flexibility to adapt to all kind of resource constraints, while giving the best optimized time table that ensures satisfaction of its staff and students. Asia Pacific University College of Technology and Innovation (UCTI)Learnfinity has been implemented in UCTI to deliver Engineering, Business and IT courses to more than 12,000 students across its campuses in Malaysia, India, Pakistan and Sri Lanka. An operational management system which covers all aspects of education management activities including enquiry, counseling, enrolment, student data, fee collections, library, accommodation, attendance, assessments, smart card / e-purse, moderation / transcripts, alumni, and job placement. All Student related modules are web-enabled to ensure 24/7 access. Our multimedia and creative team has been involved in various succesful projects for some of the world’s leading companies, ranging from web development to information system design. Microsoft is the leader in providing software services to businesses across the world. In 2005, the Creative and Multimedia team developed a flash based e-Learning programme that explains Microsoft’s Public Sector Core Training Courses for Education and Government. With the success of that e-Learning programme, Microsoft gave us opportunity to produce its Vista OS teaser video. Nokia is the world leader in mobility, driving the transformation and growth of the converging Internet and communication industries. 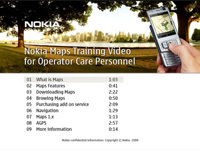 In June 2008, the Creative and Multimedia team was given the opportunity by Nokia to produce an e-Learning demo describing the various innovative products of Nokia such as N-Gage, Ovi, Nokia Maps, and Nokia Music store for its operator care personnel. Juniper helps organizations design, implement, manage and scale their Next Generation Networks (NGN), from core to edge. In 2006, the Multimedia and Creative team proposed and developed an improved course structure for its worldwide sales force that included resellers and VARs as well as the internal sales force. Subsequently, we developed the interactive product training courses that helped the sales team contend with a much larger product portfolio, shortened time-to-market cycles, and a substantially larger sales channel. These short, sharp technical courses were delivered via Macromedia Breeze solution. Sigma Kudos is one of the global leading suppliers of Information Logistics Solutions and Product Information. In 2007, the Creative and Multimedia team developed SKMS’s e-Learning demo which described the concepts, principles and processes on how the company manages its business activities.